Somewhere I suspect Coachella Opening was called different, probably something starting with an S.
CD-text tells the title Coachella Valley. Maybe this will lead to new Equinoxe "album rips" where Equinoxe 4 fades out, moving onto the storm effects of EQ5, segueing to Chronologie 1, which would then continue to Equinoxe 6 as per usual. I understood one or two hours ago Lee Sainsbury will get in touch with the Jarre team to fix this. Well, Louis left on Monday... and look what happens! Not sure this is such a bad thing. Alas, it seems that they fixed the mistake already. Seriously how the hell does Sony keep messing this up continuously? Ever since they started releasing it, there has not been a new (re)release without a problem. Well someone has to be responsible, and I doubt Jarre is the one who's fine with all the issues. When in 1976 Jean-Michel Jarre, composer, artist, author, sound landscape and French producer, launched his iconic progressive album "Oxygene", he opened a new chapter in the history of music. On September 14, Jean-Michel Jarre, a pioneer of electronic music, released "Planet Jarre", an album celebrating his 50-year career. On this occasion, Nostalgie devotes a special show on Tuesday, November 6 between 12h and 13h. "Planet Jarre" brings together 41 tracks , including two new titles. The vinyl and the ultimate box come with a download card to enter the world of Jean-Michel Jarre in a 5.1 format. Always in search of the best possible sound and fascinated by technology, Jean-Michel Jarre mastered some songs in a 5.1 format for a unique listening experience. 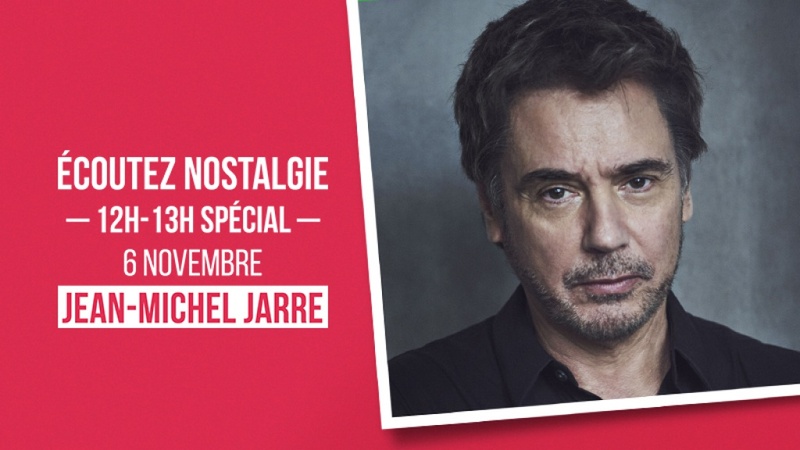 Do not miss his visit to Nostalgie this Tuesday between 12h and 13h!